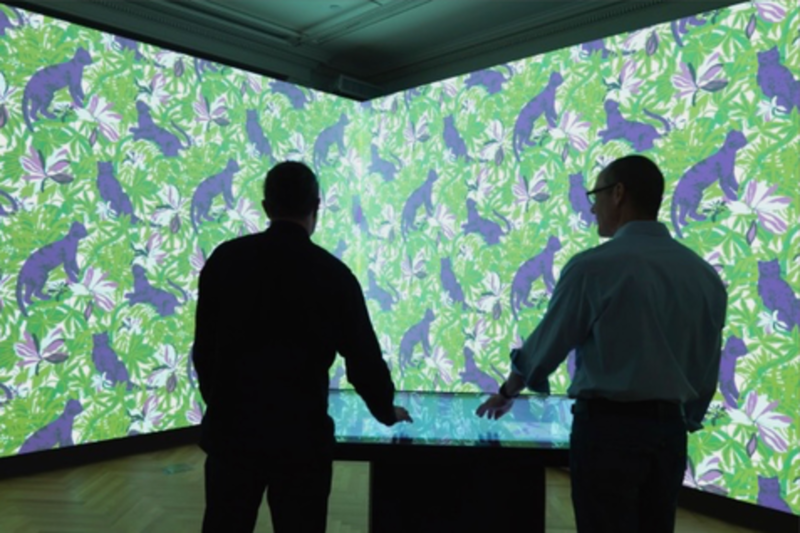 Until recently, museums – especially art museums – have been slow to experiment with digital technology to create more immersive, memorable, and collaborative experiences for their visitors. In this session, we’ll explore some recent success stories (and failures) that feature high-tech/low-tech exhibits and activities, re-imagining how museum-goers interact with collections and with their fellow visitors. Designers of the new interactive experience at the Cooper Hewitt, Smithsonian Design Museum will share their perspective on how the very best interactive experiences engage, educate and inspire us. Our conversation will span museums across the globe. As an independent consultant, Leslie works at the intersection of design and technology to produce wayfinding websites and interactive tools to help people find their way in complex environments. She writes about design, architecture and technology and lives in Austin, Texas and NYC. Paul Hoppe is a multi-disciplinary designer from Los Angeles, California, currently working as Art Director at Local Projects in NYC where he specializes in interactive exhibition design for museums, educational institutions, and adventurous corporate clients. Most recently he has helped lead the design of an interactive concept store for Target in San Francisco and the award winning interactive exhibits at the Cooper Hewitt Smithsonian Design Museum in NYC. In his limited spare time Paul freelances in equal parts print, branding, and motion design. He holds a BA with a Double Major in Graphic Design and Fine Art from Azusa Pacific University and a BFA with Distinction in Graphic Design from Art Center College of Design.